The fraud, of course, should concern us. 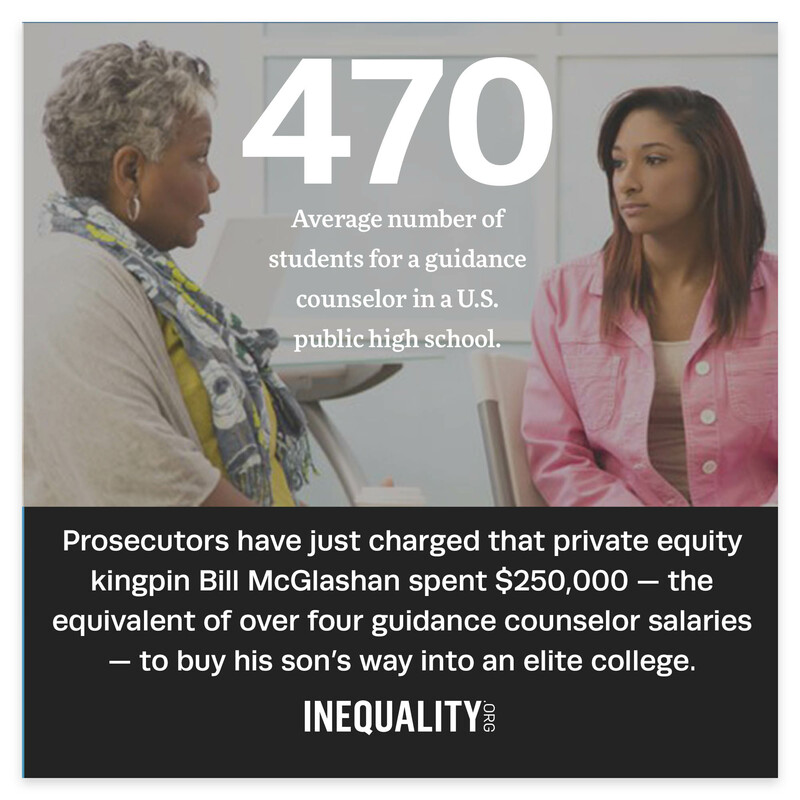 But quashing bribery won’t make college admissions — or our economy — fair for all of us. People born on third base, last week’s college admissions scandal reminded us, sometimes can’t even make it to home plate on their own. We should hardly be shocked to learn that wealthy kids afforded every advantage would still need their parents to literally buy their way into college. That fraud, of course, should concern us. But quashing bribery won’t make college admissions — or our economy — fair for all of us. Our elite Ivy League universities currently enroll more students from families in the 1 percent than from the entire bottom 50 percent. In college admissions, as in the economy writ large, our wealthy reap a wildly disproportionate share of the rewards, then assure the rest of us that their success just reflects meritocracy at work. The biggest scandal in college admissions? 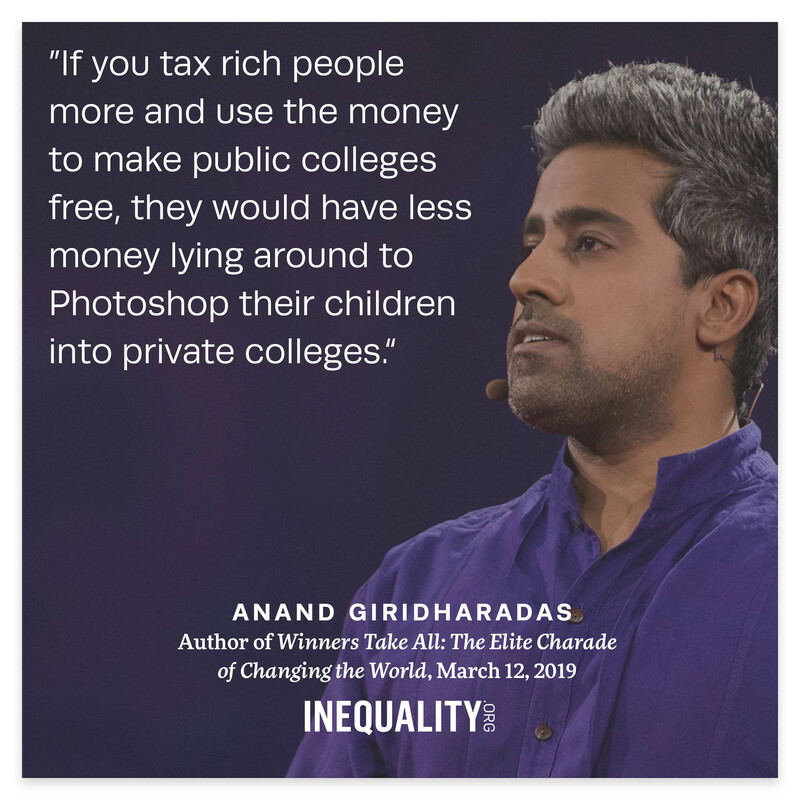 That will come if we simply punish the most rotten of college admission’s players without addressing the inequality underpinning our system as a whole. She’s back — in all her out-of-touch glory. More than 225 years after losing her head to a guillotine, Marie Antoinette has made a grand re-entrance into the halls of power. 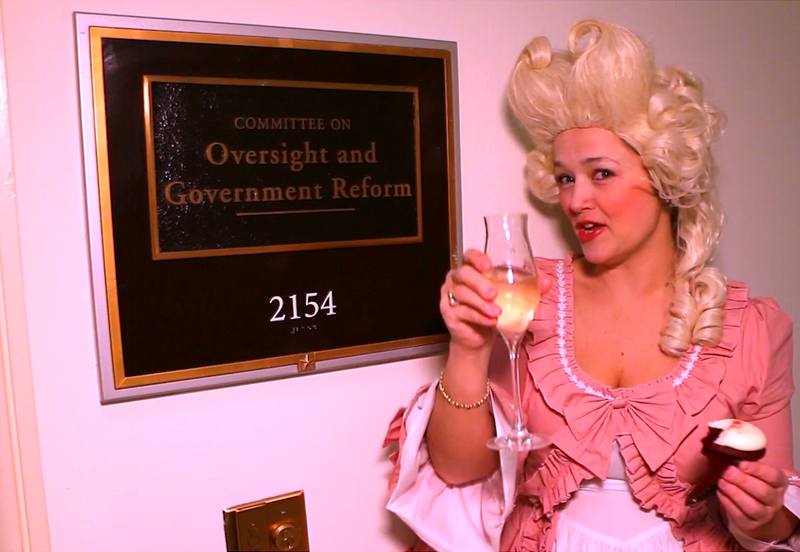 With her reattached head holding up a frothy mound of white curls, Marie descended on Capitol Hill to attend a March 14 House Oversight Committee hearing. The star witness: billionaire Commerce Secretary Wilbur Ross, one of numerous Trump administration officials who’ve made statements so cluelessly elitist that they warrant comparisons with the French queen. 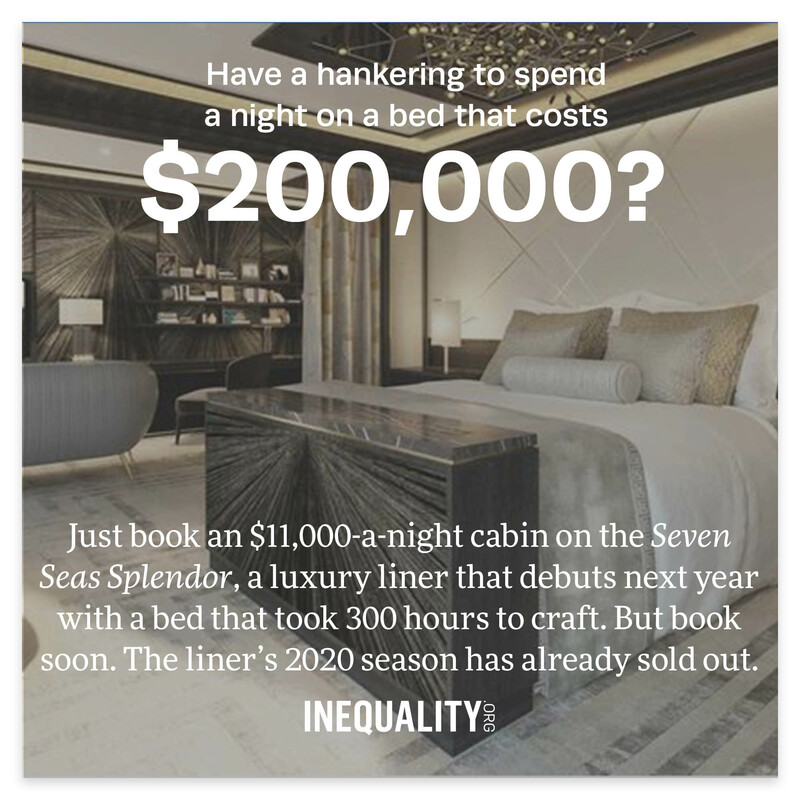 Inequality.org co-editor Sarah Anderson caught up with the 18th century icon of indulgence to get her views on today's plutocrats. Why Don’t More of Us Feel the Climate Urgency? Listen to the young people of the worldwide March 15 climate strike and you can feel the frustration. They see us at the brink of climate catastrophe. Why can’t everybody else? Psychologists can give us valuable insights about denial and the various coping mechanisms that can help explain how individuals can shrug off impending doom. But we need a broader focus to understand why our societies are moving so slowly on the climate-change front, and that focus may come down to a single word: inequality. Sam Pizzigati, author of The Case for a Maximum Wage and co-editor of Inequality.org, has more. Chuck Collins, Bring Back Eisenhower Socialism. Conservative demagogues are aiming to scare us into embracing a pro-plutocrat agenda as our only tolerable choice. Pedro Telles, Where to Look for Hope in Brazil. A new generation of politicians and movements are challenging inequalities and standing up for human rights under Jair Bolsonaro's presidency. Chuck Collins, Disrupting Narratives That Justify Inequality and Poverty. A conversation about the stories that individualize the causes of structural inequality and serve the interests of powerful elites. Elise Gould, Higher returns on education can’t explain growing wage inequality, Economic Policy Institute. 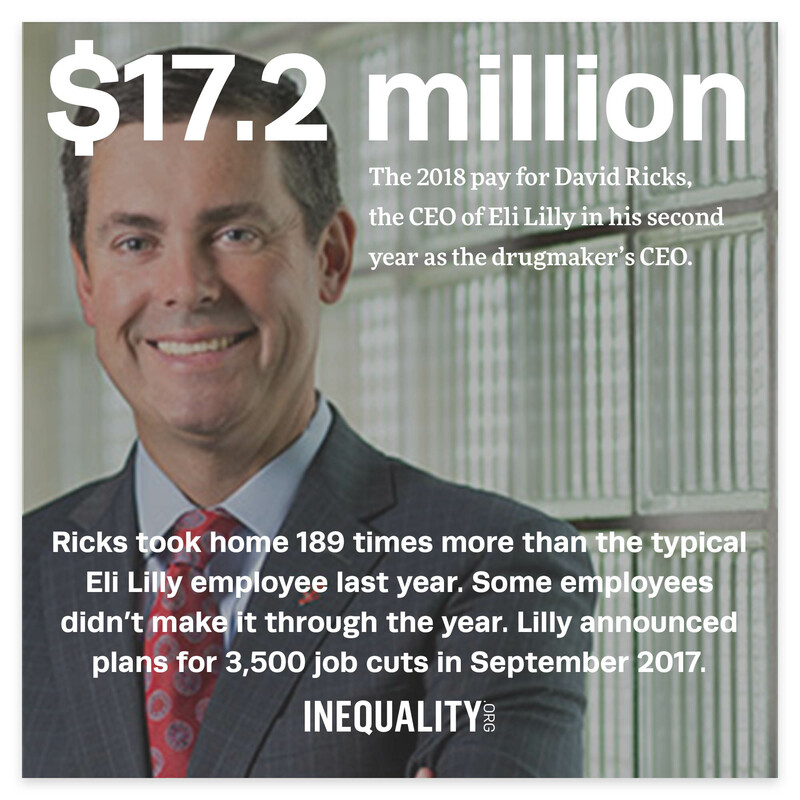 What does explain the growing inequality: the enormous hikes in pay at the corporate summit. Isabel Sawhill and Christopher Pulliam, Americans want the wealthy and corporations to pay more taxes, but are elected officials listening?Brookings. Not so much. Roxanne Roberts, Why does everybody suddenly hate billionaires? Because they've made it easy, Washington Post. A look at when billionaire became a dirty word. Steve Dubb, College Admissions Scandal Exposes Moral Rot at the Heart of US Plutocracy, Nonprofit Quarterly. Let's not let the latest college admission scandal be dismissed, once again, as just a few bad apples in an otherwise functional system.